Gary started riding at the age of 9 years old in Port Moresby, Papua New Guinea. Even though he did not specialise in one discipline, riding in all of these disciplines has helped shape Gary’s horsemanship skills and knowledge. In 1986 Gary moved to Brisbane (Australia) where he continued riding and teaching. 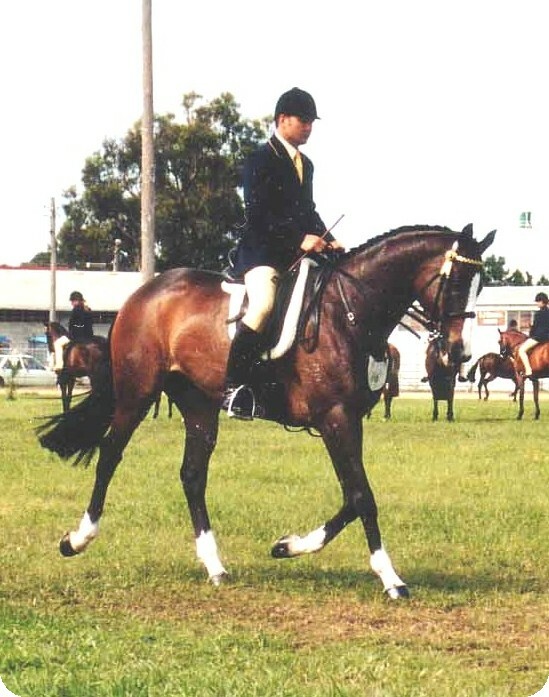 He trained and competed in eventing, showing and dressage for the next four years and then realised he preferred and appreciated every aspect of dressage training. He enjoyed working horses gymnastically, taking them through the training scale and seeing the end result. To this day, he still trains and enjoys it. Gary now lives south of Brisbane (Qld) on 15 acres with 5 horses, 2 dogs, 1 cat and 4 chooks. In 1990, Gary decided to formalise his teaching qualifications. He trained with various coaches and coach educators throughout the country to obtain his EA (Equestrian Australia) NCAS (National Coaching Accreditation Scheme) Level 1 qualifications. In 1992 he qualified and since then has coached individuals and/or groups (clinics) nationally (Melbourne, Sydney, Brisbane, Gold Coast, Sunshine Coast, Rockhampton, Gladstone, Mackay, Proserpine and Townsville) and internationally (California, New Zealand and Japan). Gary works for an Australasian company as the National Training Manager. He works full time, trains horses, teaches students and has almost completed a Bachelor of Adult Education at Griffith University.